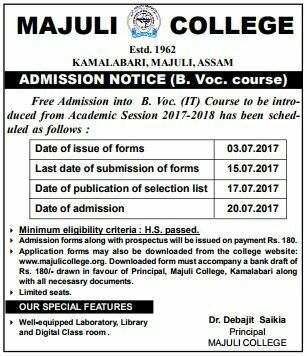 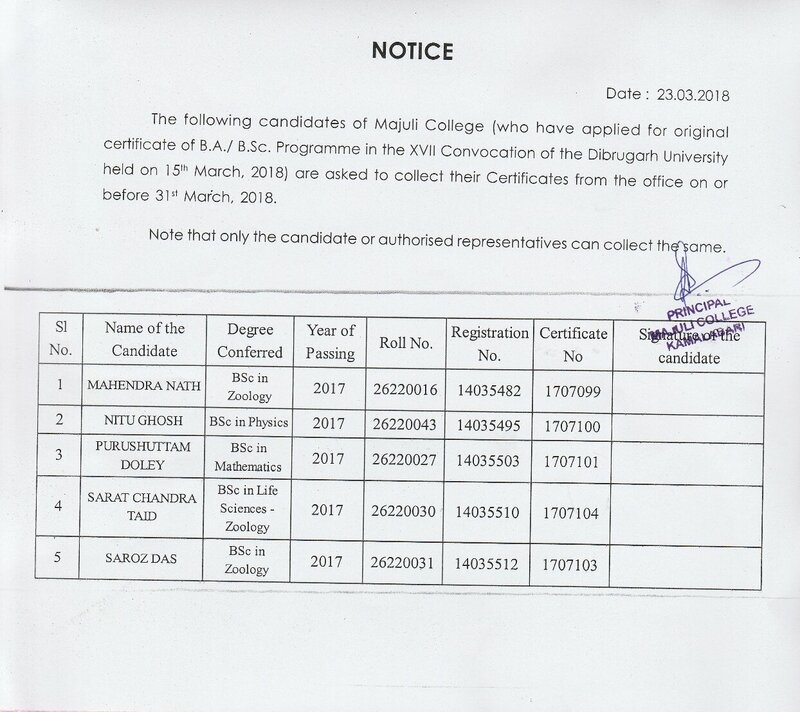 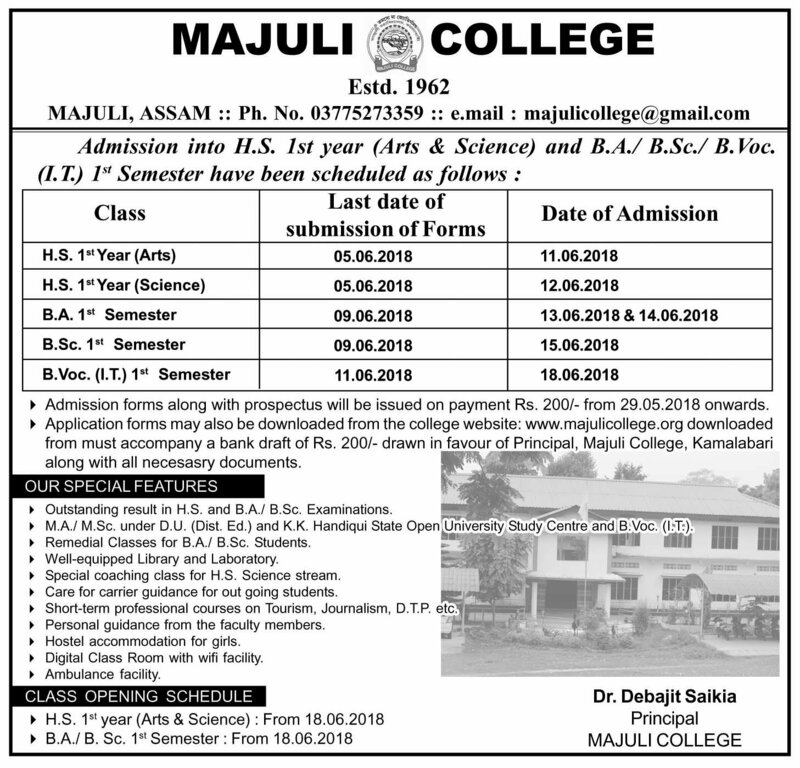 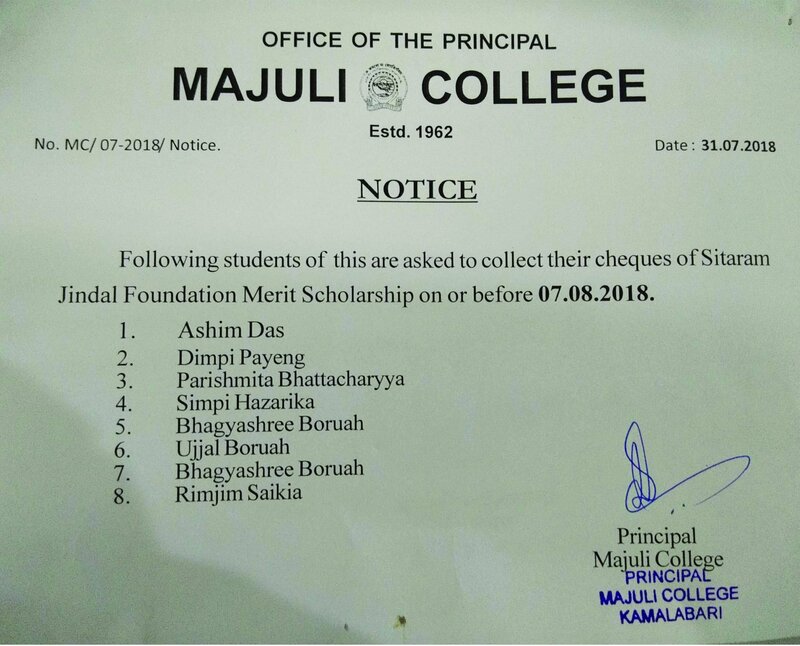 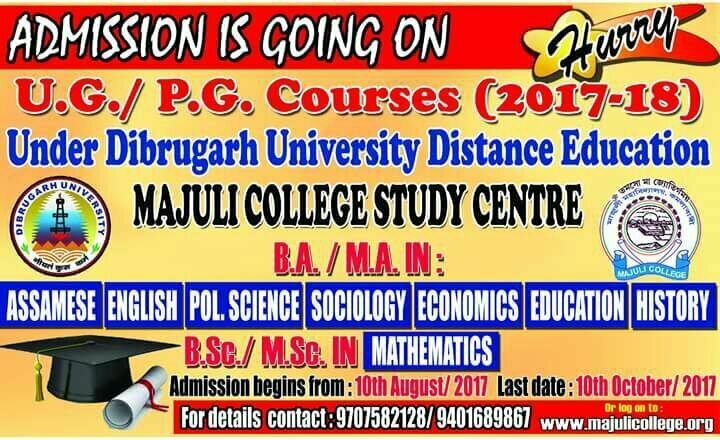 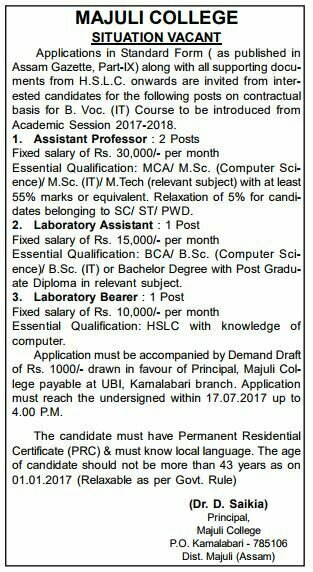 Majuli college, P.O. 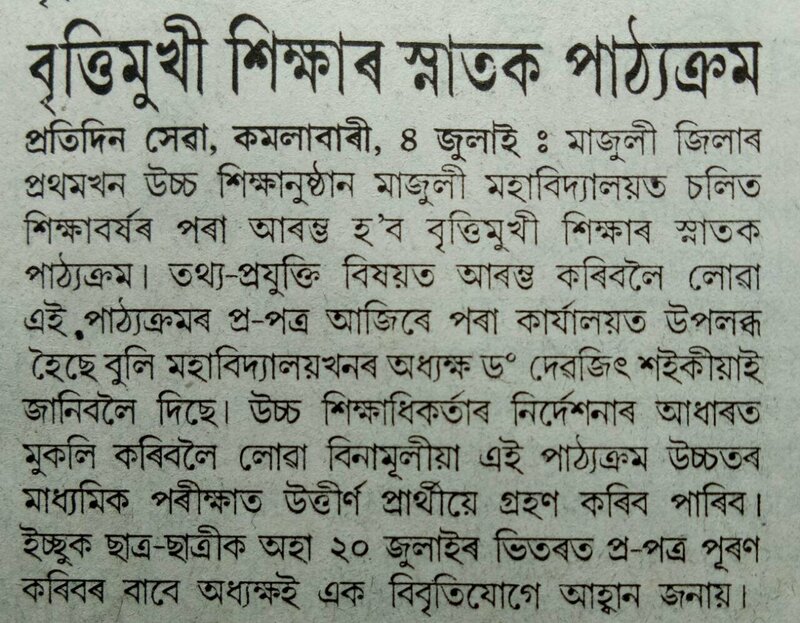 Kamalabari, Dist. 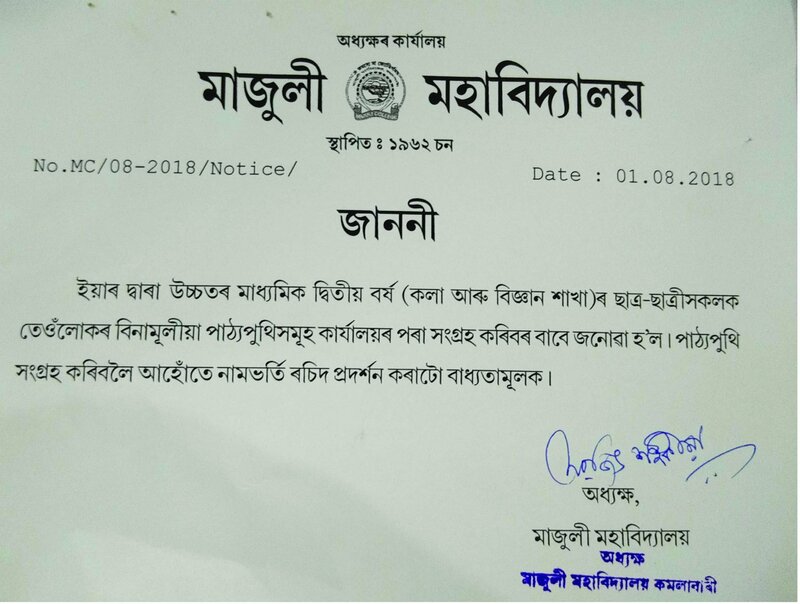 Majuli (Assam) declares that it adheres to the provision as laid down in Section 4(I)b of RTI Act, 2005 and any amendment thereto that may come into effect from time to time.